wishlist! Here's what I picked up in the sales earlier this January, excluding this bell sleeves top. I immediately searched for an 'O' but, there being a small selection left, I opted for a 'Q' instead! 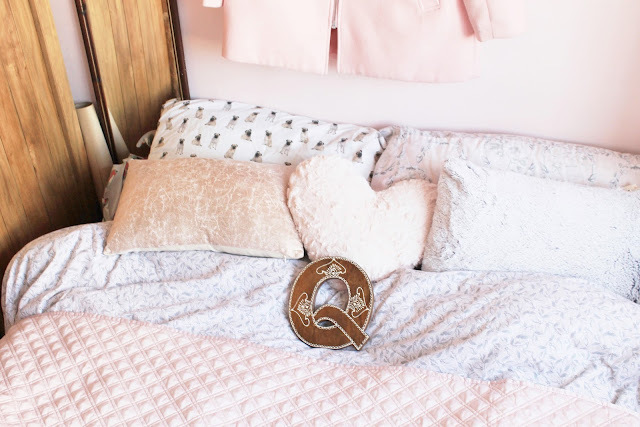 the closest thing I love mixing pastel prints with touches of boheme, to create a cosy, rustic, almost Scandi feel. The warmth of the wood also stops the pastels becoming too cold. 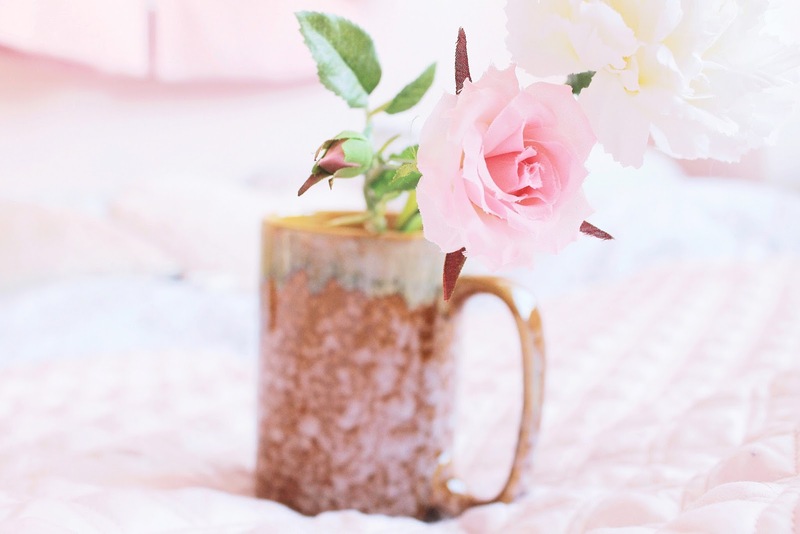 I had a wonderful time on Sunday evening in the #romanticgals chat, learning about everyone's dream retreat and decorating style! I also ordered this huge mug from Urban Outfitters, with it also in the sale. 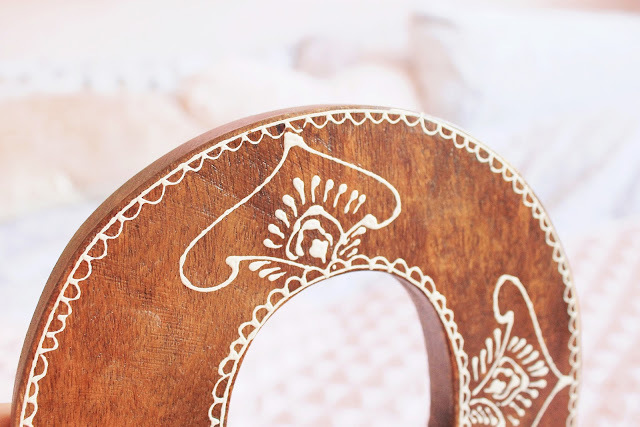 It's so pretty and exudes rustic, bohemian vibes! The pattern reminds me of tree bark and it has a beautiful glossy finish. 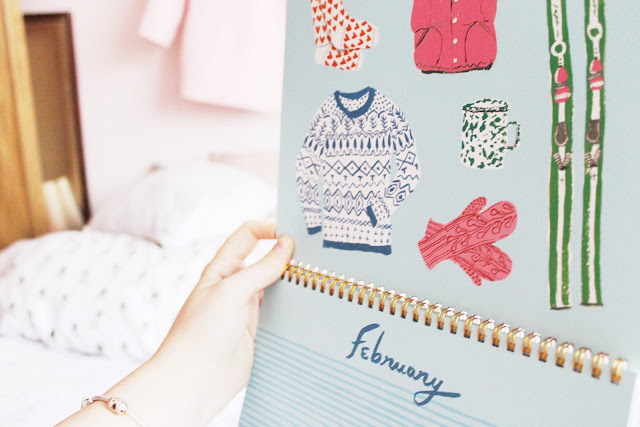 I've been lusting after this calendar for so long, it's so pretty! Featuring adorable illustrations by Danielle Kroll, it was originally £24 from Anthropologie, but was reduced to an amazing £5. I managed to scoop it at £10 and am so in love with the gorgeous designs, each collection matched to each of the seaons. 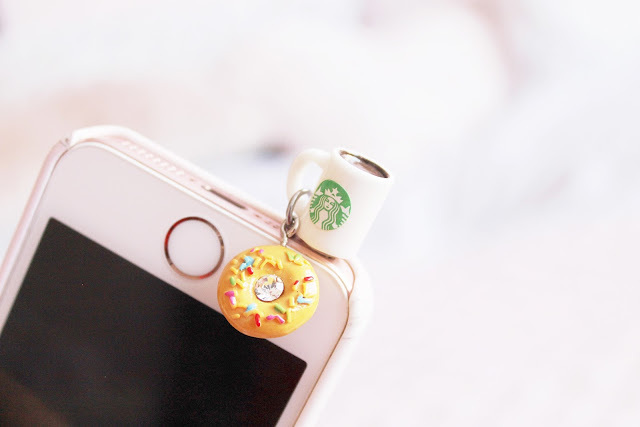 I found this adorable little earphone jack on Blippo while ordering some stationary papers; the miniature coffee cup is so cute! There are many different designs and you receive a randomly selected one on ordering. I couldn't resist, I love the element of surprise and am so happy with the one I received. It's so darling! I have a thing for miniatures and the doughnut even has little rainbow sprinkles on top. Love how the little mug is filled too - and oh the handle! Perfect for coffee/hot chocolate lovers. 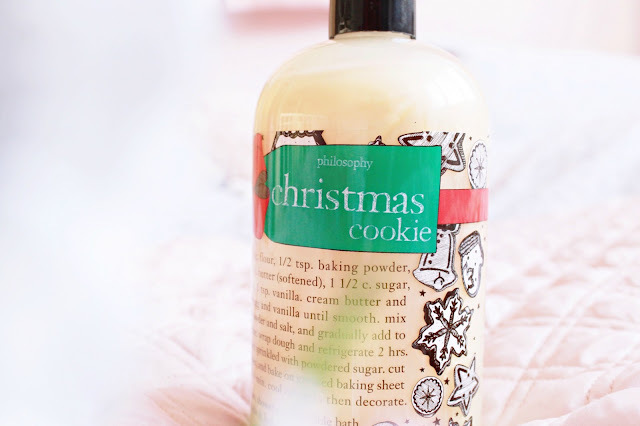 I found this Philosophy shower gel in my local TK Maxx, Christmas Cookie scented. It's of such a good size and was only £5 in the sale! It smells heavenly, buttery, sweet and creamy, just like cookies baking. I hope you like my purchases! No worries if you missed the chat - it's every Sunday at 7.30pm on Twitter! Just click on the #romanticgals hashtag page to join and tag your tweets with #romanticgals! everything looks so cute and perfect! You always choose the most beautiful items!! Loving that mug! I love this, you've found so many adorable little treasures! 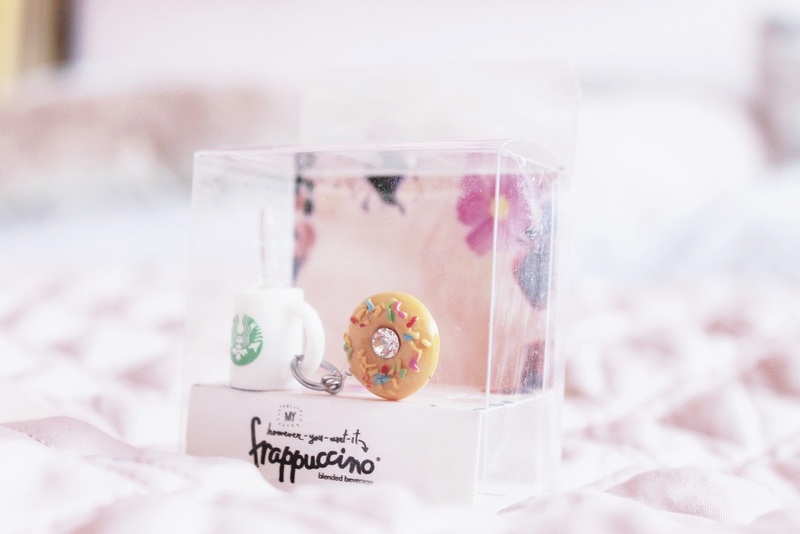 The coffee mug earphone jack is so cute! January sales are some of my favourite things of the new year, and I think you scored some wonderful items, Elizabeth. The earphone jacks are the CUTEST! I love the bits and pieces you got, especially the headphone jack charms. That mug from Urban Outfitters is gorgeous! earphone jack is sooo adorable! as well as mug - it looks absolutely adorable!